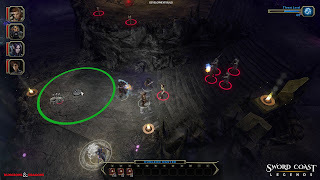 D&D Sword Coast Legends was another game I had never heard of before PAX. My brother had heard a little bit about it and wanted to check it out. We finally got to the game on the last day of the convention and it ended up being a cool experience. You could be forgiven for thinking this is a generic action RPG set in the D&D world. I certainly thought so until we got half way through the line. Then we were made into groups of 5 and asked who in our group wanted to be the Dungeon Master. No one else jumped at the chance so I volunteered... and I'm so glad I did. I think I might have been bored being one of the players, but being a DM was amazing. I got to control the dungeon and tweak it on the fly. I could add things and take them away. I made their first encounter easier which got me some DM currency to make a later encounter much more challenging. I laid traps in tricky places. I dropped monsters in behind them when they thought they had completed an encounter. I changed the mood lighting on the fly. I even took direct control of the final boss in the dungeon and duked it out with the players. 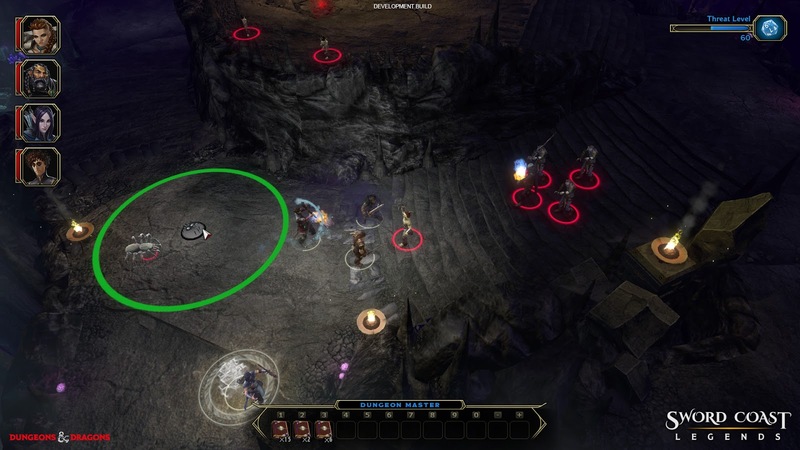 D&D Sword Coast Legends jumped from a game I had never heard about to a game where I want to dive in and make dungeons. I would love to sit down with the DM tools and craft intricate encounters for players. Tweaking the dungeon on the fly was a cool touch, but I think the real power is in sitting down without players and creating the dungeon for the first time. This is a game I'm going to be watching closely. If a good community forms around it I will be very interested to see what kind of things they come up with.